The old town of Lijiang, a UNESCO World Heritage site with a history of more than 800 years. Preface: Regulations on Protection of Famous Historical and Cultural Cities, Towns and Villages (2008) was adopted by the State Council of the People’s Republic of China and effetive on July 1, 2008. Regulations on Protection of Famous Historical and Cultural Cities, Towns and Villages adopted at the 3rd Executive Meeting of the State Council on April 2, 2008, was promulgated and effetive on July 1, 2008.
emphasize the importance of protecting of Famous Historical and Cultural Cities, Towns and Villages. highlight that these regulations are formulated for the purpose of strengthening protection and administration of famous historical and cultural cities, towns and villages, and preserving the fine historical and cultural heritage. recall the specific implementing measures for protection of historical and cultural blocks shall be formulated by the competent construction department of the State Council jointly with the competent cultural relics department of the State Council. Article 1 These Regulations are formulated for the purpose of strengthening protection and administration of famous historical and cultural cities, towns and villages, and preserving the fine historical and cultural heritage of the Chinese nation. Article 2 These Regulations apply to the application, approval, planning and protection with respect to famous historical and cultural cities, towns and villages. Article 3 Famous historical and cultural cities, towns and villages shall be protected in adherence to the principle of scientific planning and strict protection, with attention paid to maintaining and prolonging their traditional layouts and historical styles and features, safeguarding the authenticity and integrity of the historical and cultural heritage, preserving and promoting the fine traditions and culture of the Chinese nation and correctly handling the relationship between economic and social development and protection of the historical and cultural heritage. Article 4 The State gives necessary funding for the protection of famous historical and cultural cities, towns and villages. Article 5 The competent construction department of the State Council shall, jointly with the competent cultural relics department of the State Council, be responsible for protection, supervision and administration of the famous historical and cultural cities, towns and villages across the country. Article 6 The people’s governments at or above the county level and their relevant departments shall, in accordance with the relevant provisions of the State, commend and reward the units and individuals that have made outstanding contribution to the protection of famous historical and cultural cities, towns and villages. underscore that the regulations also provide legal responsibilities of a unit or individual in violation of the provisions of these Regulations, causes damage or destruction to the cultural relics in a famous historical and cultural city, town or village. The 3rd Executive Meeting of the State Council of the People’s Republic of China, April 2, 2008. 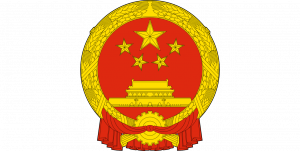 The Regulations adopted at the 3rd Executive Meeting of the State Council of the People’s Republic of China on April 2, 2008, are hereby promulgated by the decree of the state council of the People’s Republic of China No. 524 and shall be effective as of July 1, 2008. They are formulated for the purpose of strengthening protection and administration of famous historical and cultural cities, towns and villages, and preserving the fine historical and cultural heritage of the Chinese nation. They apply to the application, approval, planning and protection with respect to famous historical and cultural cities, towns and villages. The specific implementing measures for protection of historical and cultural blocks shall be formulated by the competent construction department of the State Council jointly with the competent cultural relics department of the State Council.